The new WEIRFLEX from Red Valve is designed to specifically meet the needs of stormwater and combined sewer systems. 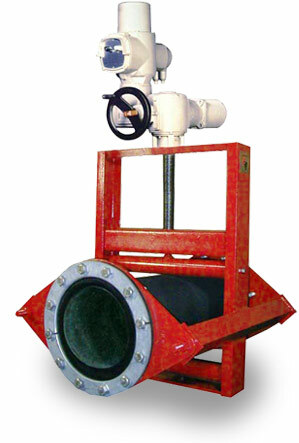 The valve features a full-port opening for unobstructed flow when in the open position. To control the rate at which stormwater enters a collection system, the valve is closed from the bottom, creating an adjustable weir. The weir can be closed up to 96% of the total pipeline diameter. This allows operators to adjust for seasonal rainfall changes, wet-weather conditions, storm events or changing population demands. The Weirflex Level Control package allows users to monitor and control the level of available storage capacity within their pipeline by recording the level of water upstream of the valve. Utilizing an ultrasonic sensor tied to a control module, this package can be setup to indicate level, indicate valve position or control valve position with a 4~20 mA signal.